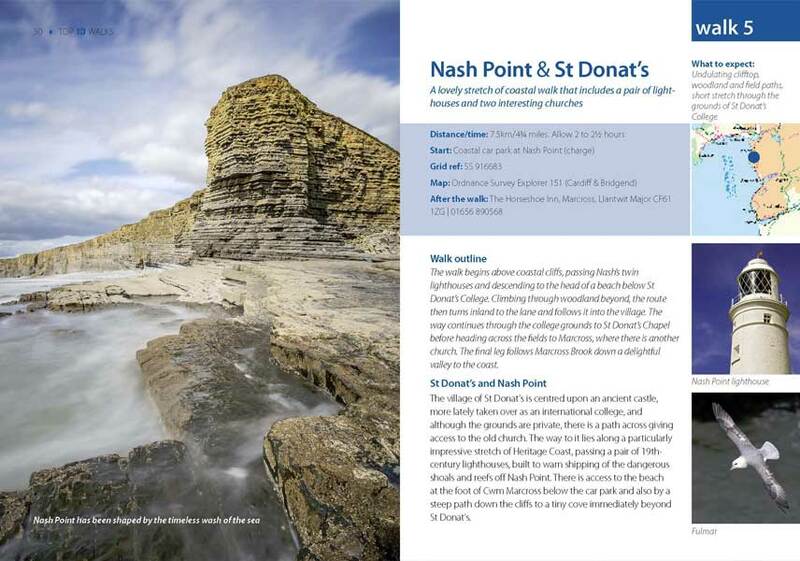 This handy little guide book gives you the ten very best short circular walks along the South Wales Coast section of the Wales Coast Path. The coast is one of extreme contrasts, ranging from great dune systems through sheer cliffs to miles of coastal salt marsh. Nowhere is far from a delightful stretch overlooking the sea, with fine views, nature and heritage all around. Far reaching views, a stunning diversity of landscape, and the richness of the area’s ancient and industrial heritage are all explored in these ten short, circular walks. 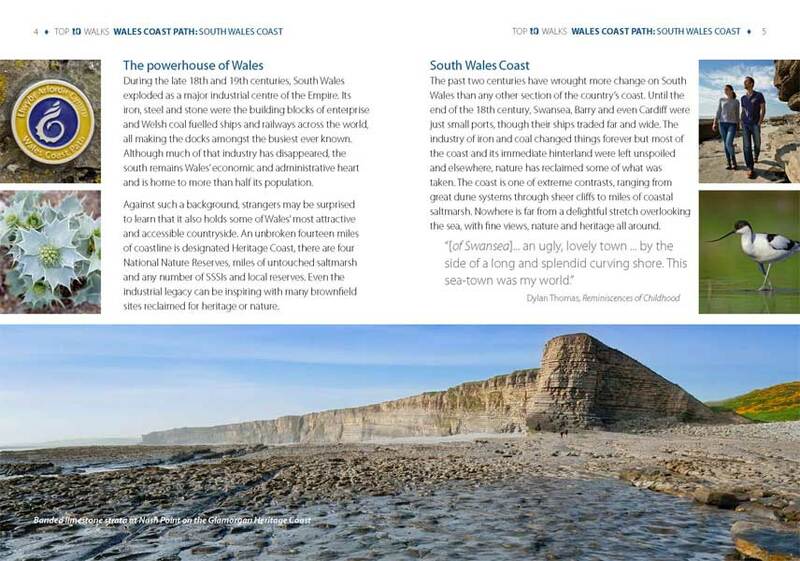 This attractive and cleverly structured guidebook gives walkers the ten best walks on the southern part of the South Wales Coast section of the Wales Coast Path, in a popular pocketable format. This book is handy in every way: robust covers on front and back with folds to tuck into the page you’re going to refer back to; sections of Ordnance Survey maps that avoid the need for carrying a full sheet; enough background information to whet the appetite, and clear directions.